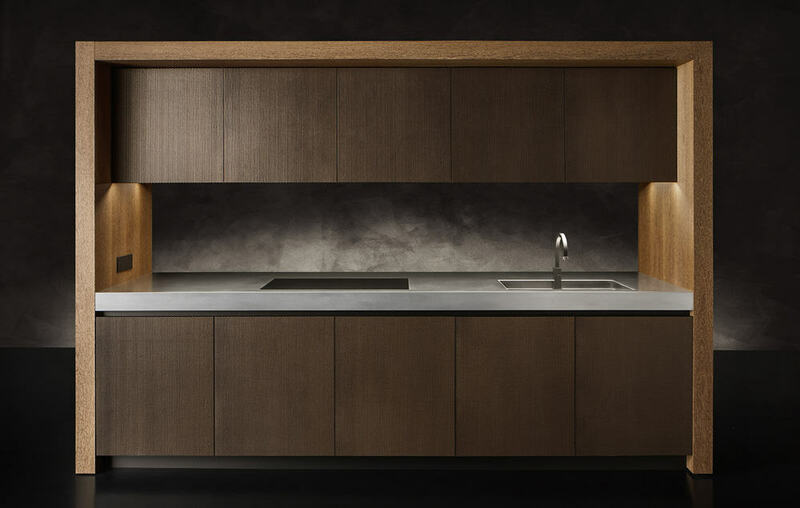 A name synonymous with luxury fashion has created a luxury kitchen collection, manufactured by Molteni DADA group in Italy. 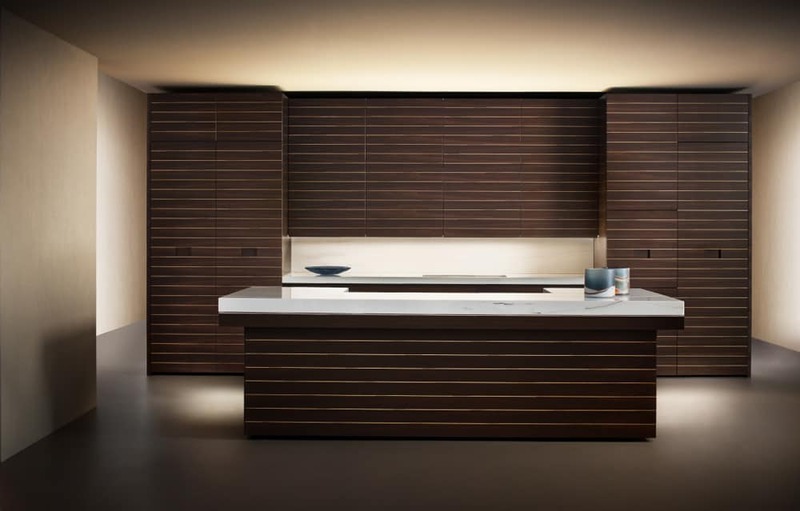 DADA kitchens have long been synonymous with top-end Italian kitchen manufacturing. 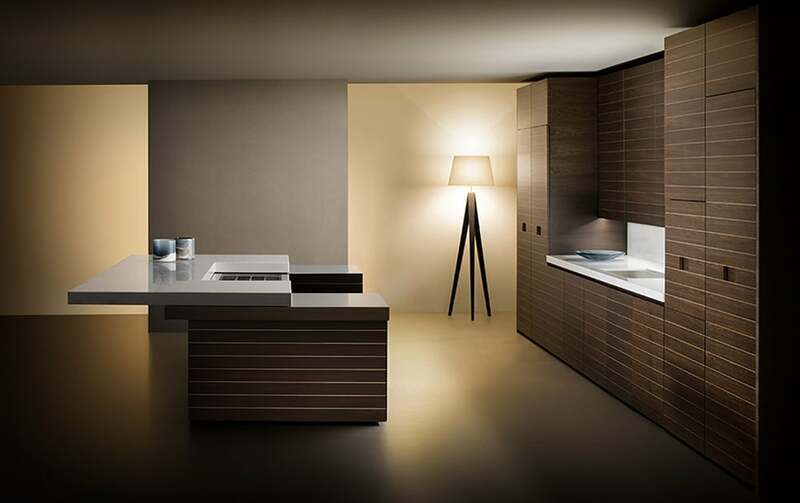 Armani Casa has created a minimalist design in rich shades of timber veneer, glass and stone. Accents in colours gold, bronze and silver emit a soft glow through an open concept Kitchen and Living space. A designers kitchen made to enhance interior spaces.